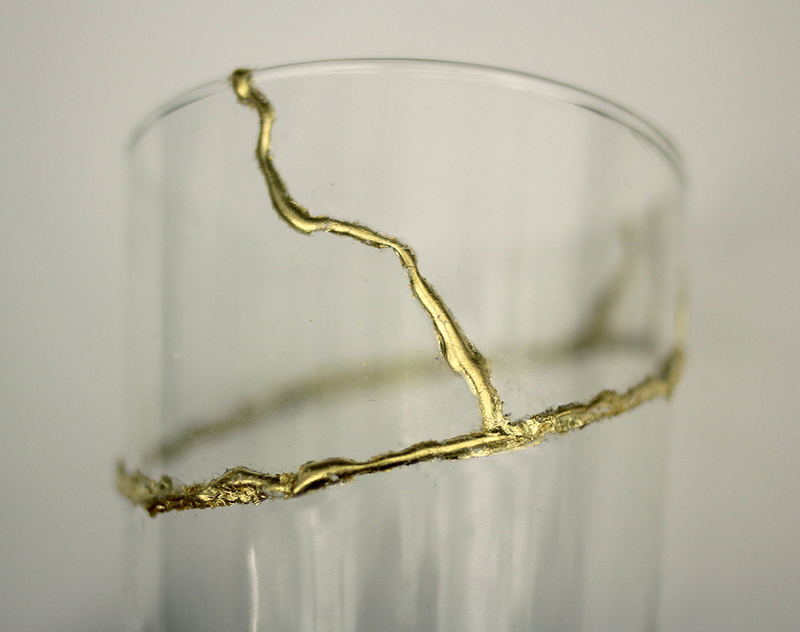 These drinking glasses revive the ancient art of Japanese Kintsugi. Traditionally a technique used on lacquerware and ceramic, this design brings Kintsugi to glass in a new way. A predictable break cuts each glass at an angle. While the bottom of the glass stays clean and untouched, each glass breaks along the top in uniquely random places. 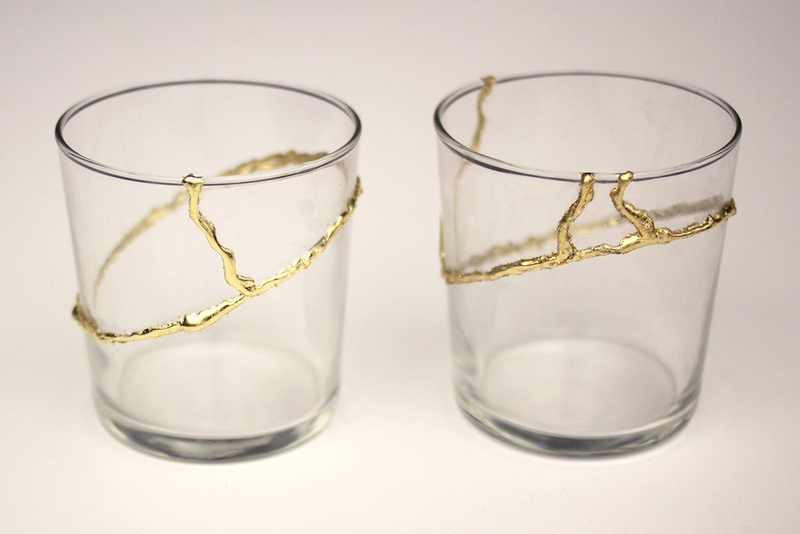 Gold leaf highlights each break and makes each glass one of a kind. Break highlights technique, history, and the use of every-day objects. What happens to the valuable things around us when they break? What does it mean to repair or preserve objects? Can this act add value to something instead of degrade it? These highly debated questions are very timely in this age of disposable products and can help start this conversation. In an artful fashion.